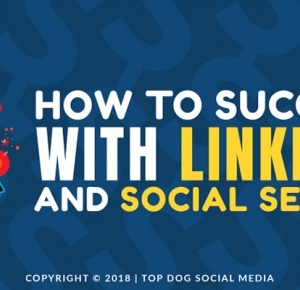 What do you think of Facebook Boost Post? 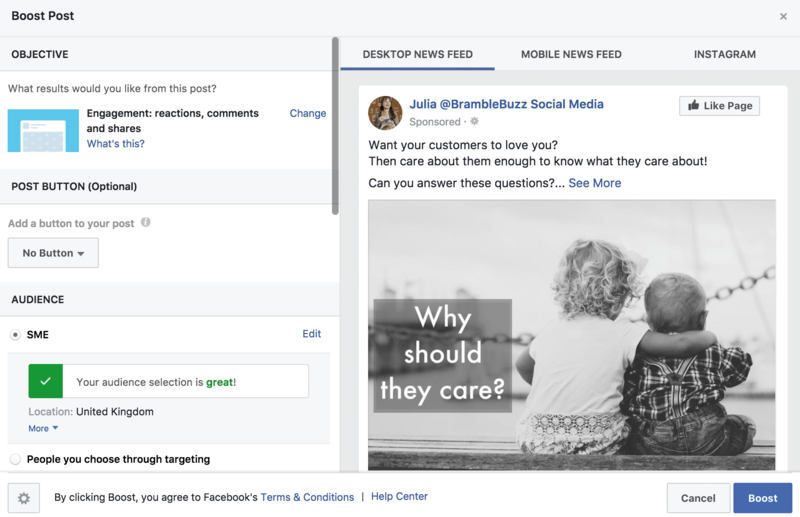 Facebook has quietly unveiled a new feature in Facebook Boost Post that will make a massive difference to the results! 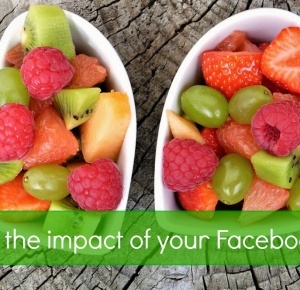 Are you running Facebook Ads, or using the Facebook Boost Post option? Then you’ll probably have noticed a divide between people who will only use Ads Manager (or Power Editor) to set up their ad, and those who mainly hit the blue button. Yup, I know – a long, technical-sounding word- but it’s important – so bear with me for a moment …. And you’re faced with the (sometimes overwhelming) decision of which results to choose. 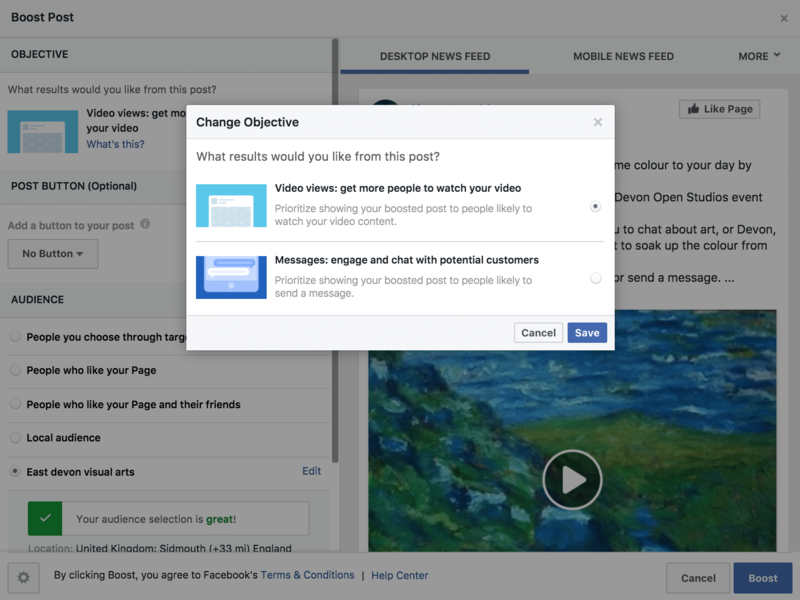 In Facebook’s Ads Manager, you’re asked to choose what marketing objective you want to achieve. I know it can feel like Facebook’s setting out to confuse you even before you’ve got started, but what they’re actually trying to do is to help you! If you choose ‘engagement’ then Facebook will show your ad to the people who generally like, comment on, or share Facebook posts. That means Facebook is helping you to get your message and media across to the people who are most likely to respond to it in the way you want. 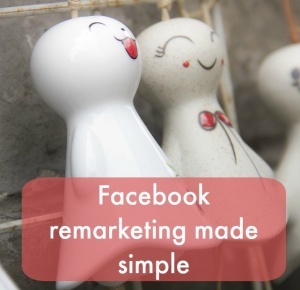 The end result is that you’re more likely to find the right audience for your ads and getting the results you want will cost you less – than if Facebook didn’t have this feature! Nice, huh? Let’s take an example – you run an ad that contains a video (because we all know video grabs attention, right?) and a link to your website. What you really want people to do is to see the ad, then click the link and visit your website. Was that the right choice in this instance? But you don’t know that! 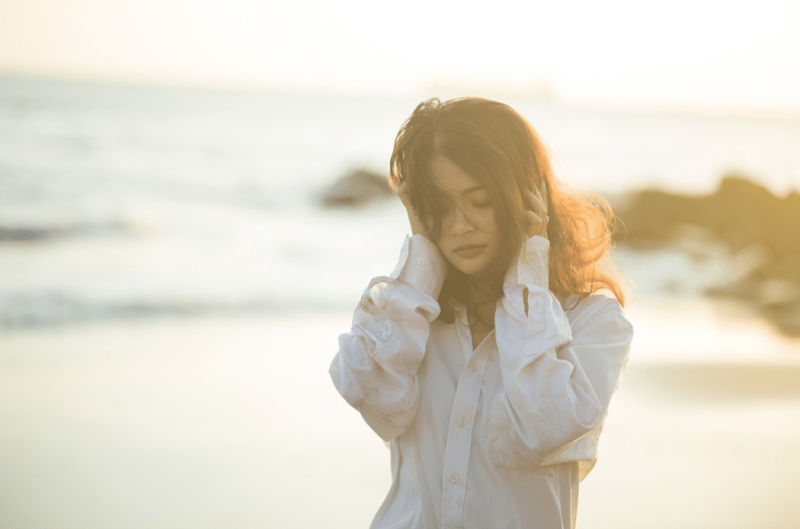 You just get your Facebook ad results back and think that because no-one clicked, they must have hated your video, or your text, your whole ad … maybe actually they hate you ….. 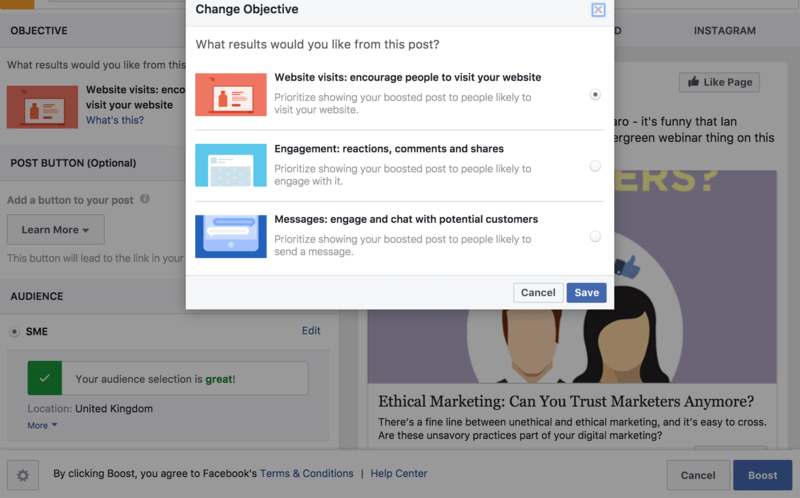 So – back to the Facebook Boost Post vs Ads Manager Great Divide …. Up until now, the problem with boosting a post with that tempting lil’ blue button that gets everywhere (!) 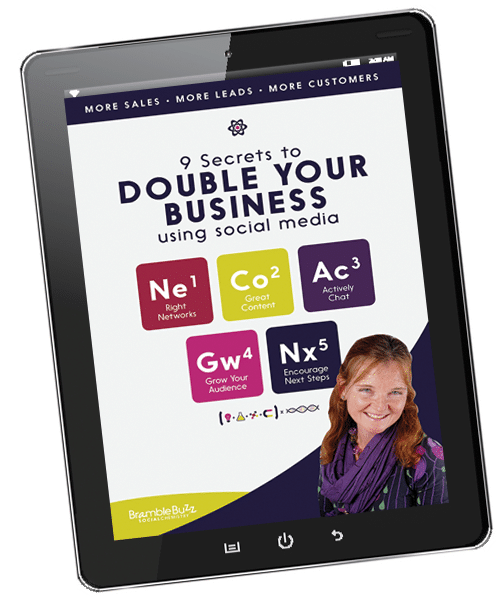 has been that you couldn’t choose how to optimise your ad (a boost is still an ad – just sounds a bit less scary!). 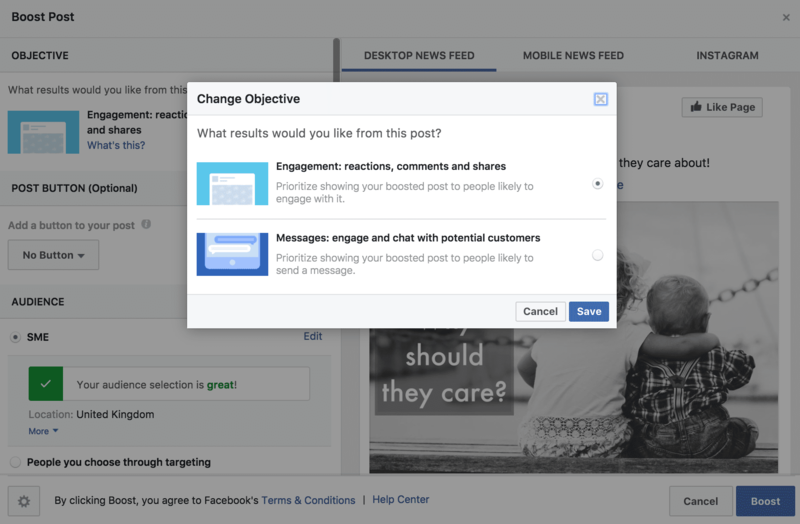 Facebook automatically chose the engagement objective for you …. So if you had a post with a link in and you boosted it, guess what? 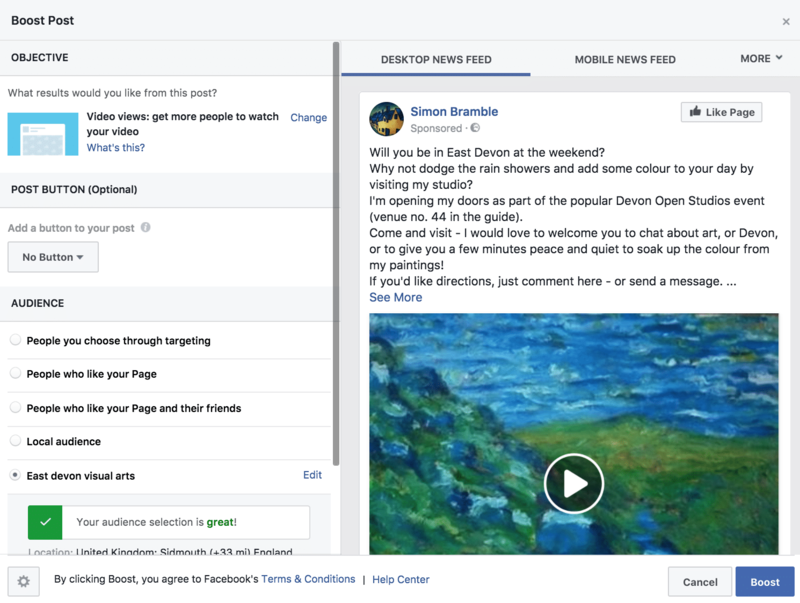 You may well have had your boost post not shown to the very people who would have loved to have clicked away from the bland blue and white Facebook landscape into your amazing website…. a. What the settings used to look like when you clicked ‘Boost Post’. b. What the settings look like now when you click ‘Boost post’. You’ll see that the default option here is to go for the ‘Video Views’ objective. The 2 options available for optimisation objectives for posts with videos. And – what’s reeeeeeeeallly clever is that choices you get shown are based on what you’ve got in the post you want to boost. 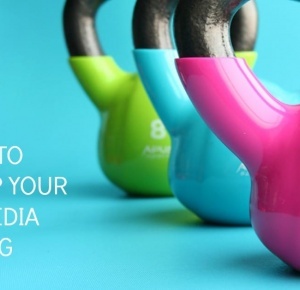 So – say you’ve got an image and some text – you get to choose between optimising for engagement (people who are more likely to like, comment on, or share your post) or optimising for people messaging your Page. The alternative objective choice for an image post is ‘Messages’. 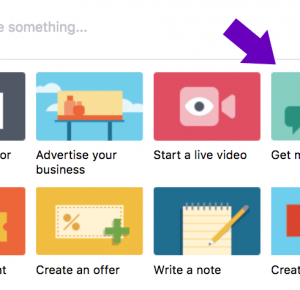 For a post containing video, as you saw above, you’ll get options for Video Views (the default) or Engagement. And if you’ve got a website link in there – guess what? 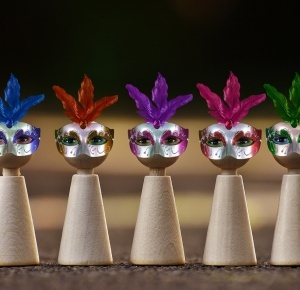 You get to choose between optimising for website clicks, engagement, or messaging! Objective options for posts with website links are Website Visits, Engagement, and Messages. 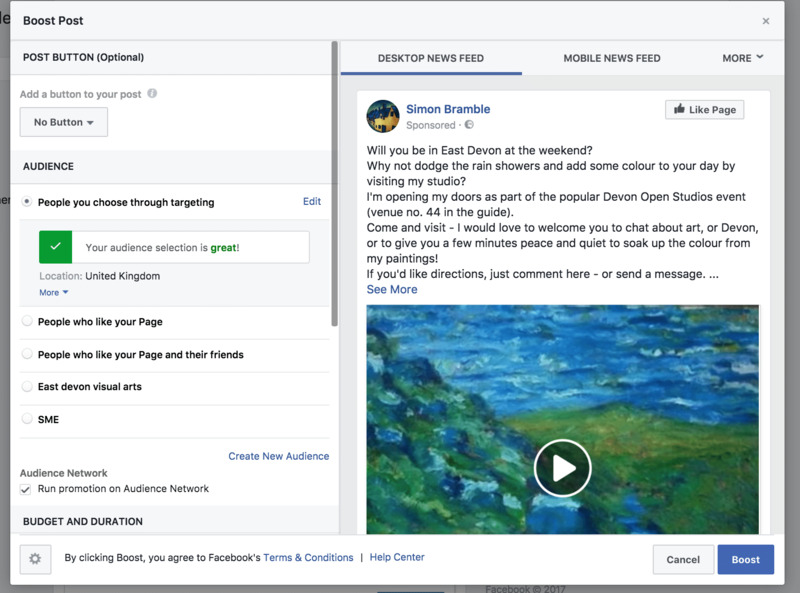 So, with Facebook Boost Post, you might not get the same raft of optimisation choices that you’d get in Ads Manager but, like we said at the top, sometimes that can just be too much! And I wouldn’t mind betting that even those die-hard Ads Manager supporters will now find that Facebook ‘Boost Post’ is a viable option for running a quick ‘everyday’ ad. Do you like this new feature? 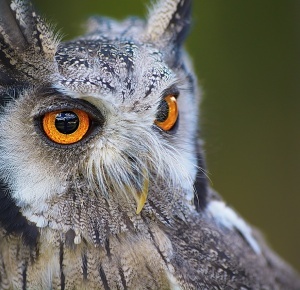 Did you know what optimisation meant before? Great news Julia and means we can use Boost Post instead of faffing about with the very confusing Ads Manager – Thanks! Absolutely Barrie – well in many cases anyway! Anything that makes life easier is fab in my book! Thanks for sharing Julia. Being able to choose what to boost through the Boost Post option is fab. It’s great, isn’t it Hazel? 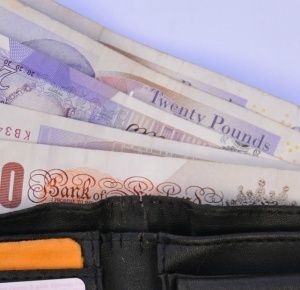 Will reduce the stress load for a lot of business owners, I think!